The player at the front post makes a run towards the edge of the 6-yard box, dragging 2 defenders with him – creating space at the near post. The players hovering on the edge of the box split, with one attacking the now empty near post and one attacking the back post. The split gives the attackers a slight advantage and it’s enough for them to bundle the ball home from close range. Pacos De Ferreira opt for a zonal marking system, which is poor as it leaves the front post completely unmarked (although admittedly the goalkeeper should have that covered) and it’s an easy header from a yard out. Vio opts to crowd the 6-yard box with players and the goalkeeper can’t deal with it. An interesting take on the Vio screen. 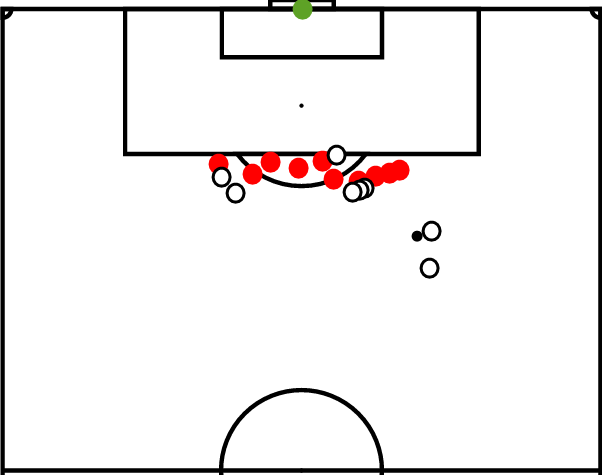 The Milan wall is set-up well and tight – meaning that the goalkeeper should have it covered. 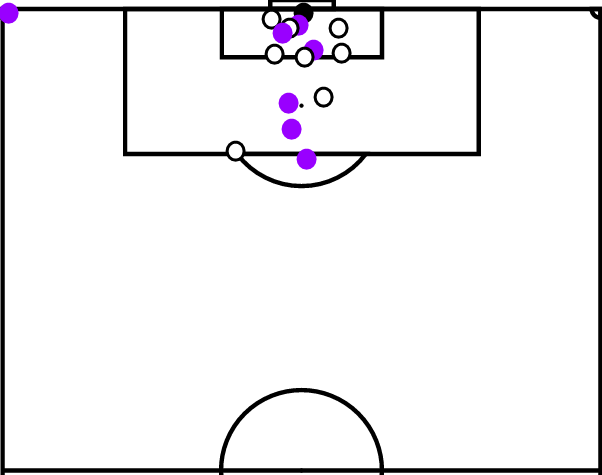 Fiorentina setup their screen just to the right of the wall, the free kick is taken but nudged slightly to the left – meaning it’s right at the Vio screen. They split and the shot is deflected in. The footage is poor so it’s hard to tell what happened here! The Vio screen behind the wall rushes forward and disrupts the Chievo wall – unsighting the goalkeeper as the free-kick rebounds off the woodwork. The importance of having players to follow the kick in is shown as Fiorentina are first to react to head into the empty net. 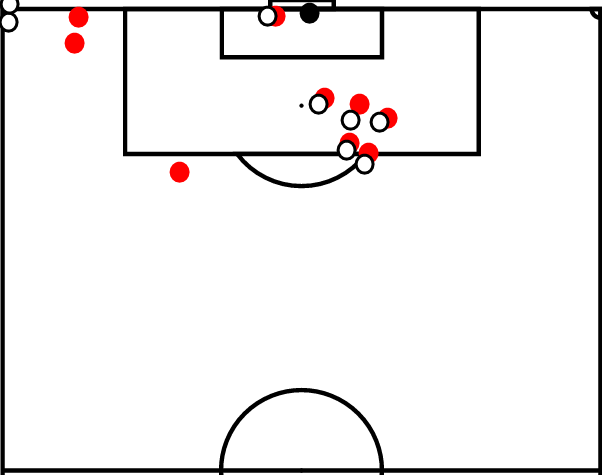 A majority of the players in the box run towards the near post, leaving plenty of space in the middle for the goalscorer to attack (unmarked) from deep. The Vio screen is deployed next to the Atalanta wall, just before the kick is taken they split (to avoid the kick hitting them) – as ever it’s superbly effective and the free kick is well hit – flying into the top corner. The Vio screen is again deployed next to the Parma wall, before joining it just before the kick is taken. Another interesting take on the Vio screen as 2 players join the wall – with 2 players ducking out the wall to follow the kick in. The 13/14 was a decent one for Vio, with 10 goals contributed as Fiorentina finished 4th. His success at Fiorentina earned him a move to AC Milan for the 14/15 season – which will be explored during part 6.